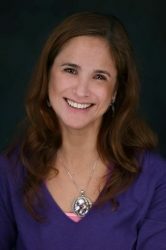 Lakewood, CO – September 30, 2016 | Trumpet Behavioral Health, a leading provider of Applied Behavior Analysis (“ABA”) for children and adults with Autism Spectrum Disorder, announced today that it has named Paula Braga-Kenyon, Ph.D., BCBA-D, as Chief Clinical Officer and Amber Valentino, Psy.D., BCBA-D, as Executive Director of Research and Clinical Standards, effective November 1, 2016. In their new roles, Dr. Braga-Kenyon and Dr. Valentino, both veteran clinicians with extensive applied and research experience, will lead the company’s efforts to consistently advance Trumpet’s standard of care. These new leadership positions will further strengthen the company’s ongoing commitment to provide client-focused, high quality, evidence-based services that maximize treatment outcomes. Dr. Braga-Kenyon received a Master of Science in ABA from Northeastern University, studying under Dr. Murray Sidman and Dr. Gina Green, followed by a Ph.D. in ABA from Western New England University, studying under Dr. William Dube and Greg Hanley Ph.D., BCBA-D. She spent 13 years with The New England Center for Children and was also the Assistant to the Executive Director for Melmark New England. Dr. Braga-Kenyon joined Trumpet in February of 2016 as Assistant Director of Clinical Services. As Chief Clinical Officer she will be responsible for Trumpet’s clinical services, operational and leadership development, and will partner with clinical teams across the organization to ensure best practice, evidence-based treatment. Dr. Valentino received a doctorate in clinical psychology from Xavier University in Cincinnati, Ohio. She completed a pre-doctoral internship and post-doctoral fellowship at the Marcus Autism Center/Children’s Healthcare of Atlanta and remained on staff three additional years serving as a senior psychologist and program coordinator. Since joining Trumpet in 2012, Dr. Valentino has held various roles, most recently serving as Assistant Director of Clinical Services and Research, working under the direct mentorship of Dr. Linda LeBlanc. As Executive Director of Research and Clinical Standards she will be responsible for Trumpet’s research initiatives, clinical standards and all training functions. In the coming months, Dr. Linda LeBlanc will transition from her role as Executive Director of Research and Clinical Services to an Executive Advisory position. Dr. LeBlanc has been an integral part of Trumpet over the past 5 years, building a comprehensive set of clinical standards, developing the company’s research function and recruiting and mentoring innumerable clinical leaders. As an Executive Advisor, she will focus her efforts on strategic company initiatives and mentorship of clinical leaders, and will remain on Trumpet’s Institutional Review Board. Dr. LeBlanc will continue to work closely with Dr. Braga-Kenyon and Dr. Valentino in their new roles, both of whom she personally recruited to Trumpet. Trumpet congratulates Dr. Braga-Kenyon and Dr. Valentino. Trumpet Behavioral Health offers evidenced-based behavioral health services to children and adults with Autism Spectrum Disorder and other developmental disabilities based on the principles of Applied Behavior Analysis. 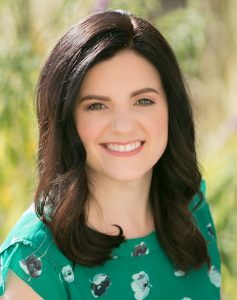 A team of over 850 passionate and highly-skilled individuals, including numerous Ph.D. and Masters-level Board Certified Behavior Analysts and Board Certified Assistant Behavior Analysts, provides center-based, school-based and in-home services throughout Arizona, California, Colorado, Hawaii, Illinois, Kansas, Ohio and Texas. For more information please visit www.TBH.com. Read the release on Business Wire.